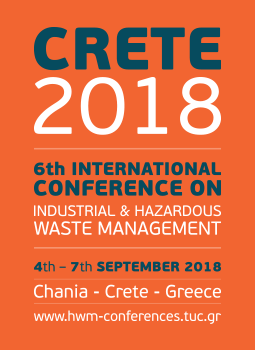 She is a Doctor in Environmental and Hygiene Engineering and a researcher at the Laboratory of Toxic and Hazardous Waste Managemen at the Technical University of Crete since 2003. Her research mainly focuses on the fields of soil and groundwater remediation, contaminated sites management and special hazardous waste management. 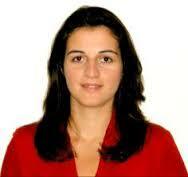 She has participated in the conduction of more than 15 national and international projects on these fields. During her studies she received many honours and sponshorpships (State Scholarships Foundation, Public Benefit Foundation Alexander S. Onassis, Technical Chamber of Greece and others). She has been an author, reviewer, as well as guest editor in different international scientific journals. In 2017 she was elected Task Group Co-Chair and member of the Scientific Advisory Panel of IWWG (International Waste Working Group). She is a Doctor in Environmental and Hygiene Engineering and a researcher at the Laboratory of Toxic and Hazardous Waste Managemen at the Technical University of Crete since 2008. Her research mainly focuses on polluted aquifer and groundwater remediation, as well as municipal solid waste management. During her studies she received many honours and sponshorpships (State Scholarships Foundation, Public Benefit Foundation Alexander S. Onassis and others).